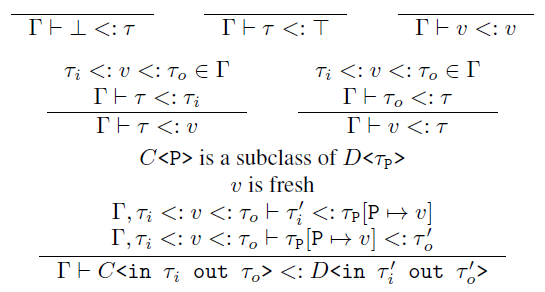 Have you ever seen notation like this in a programming language paper? Your search - ∏ - did not match any documents. "if everything above the bar (the premises) is true, then the thing below the bar (the conclusion) is true"
Excellent, this will be very helpful when I encounter another one of these papers. I wish computer scientists understood that their notation is far from universally known and that, without a "legend" or informative URL, mere computer engineers like me not only cannot understand the notation, but cannot learn about it either. Update: here's a more detailed introduction to Programming Language Theory.